I stood in our Memory Garden at Church last week, surveying the space. We clear the renegade spouts that have taken root through the summer and trim the bushes as we ready the Garden for fall and winter. I pinched a few dead flowers from their stems. 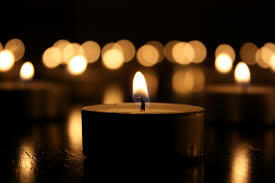 Thursday is All Souls’ Day, and our Requiem Eucharist ends with prayers in the Memory Garden. We name aloud those who have died and are buried here as we light candles, a visual reminder that the darkness of death and sorrow shall not overcome the light of Resurrection. We do this in the midst of our sorrow, at times. Even at the grave we make our song, "Alleluia. Alleluia. Alleluia." A neighborhood cat who enjoys our church grounds joined me in the Garden, rolling joyfully in the newly-spread mulch. On the very edge of the memorial marker, I saw a chipmunk peep over the granite edge, deciding which creature, the human or the cat, would be the bigger threat to its survival. It apparently decided neither of us looked particularly threatening, so it busily buried an acorn. I presume for a later meal. Even in the midst of death, life exists. One of the names we will read at the end of the service would have enjoyed this moment. She loved nature, all its wildness and movement. I still miss her. I miss many of the names listed on this marker. I’ve buried all of them, and each year, we add one or two or four or several more names. The numbers don't increase the grief as much as give it a different weight in my soul. All these names will be spoken aloud on Thursday evening, as we light candles for each of them in the dark Kentucky night. All Souls’ Day is one of those holy days of the church that gets slightly ignored. It is the third and final day of the Fall Triduum, the three holy days of All Hallows’ Eve, All Saints’ Day, and All Souls’ Day, three days that remind us of the waning light of our human life and that the apostrophe lessons in grammar classes really do matter. Its official name in the Episcopal Church is the Commemoration of All Faithful Departed. I like All Souls’ Day and will remain unpersuaded that a longer, more complicated title for the day is useful. The roots of the day are found in the practice of having Masses for the souls of the dead on the anniversary of their death. Over centuries this became conflated with the practice of praying souls out of purgatory and other abuses associated with Masses for the dead. The abuses are mostly gone. Yet the day remains. On a very basic level, I think it’s an important day to commemorate because grief needs a place to be welcome. We don’t suddenly stop grieving because our loved ones have been dead a year or a decade or whatever random time stamp we humans desperately develop to control the wildness and unpredictability of grief. Our ancestors who had a church service on the anniversary of the death of a loved one were making space for grief, welcoming her again to the table, and reminding themselves that it’s okay still to miss them. That we remember still loving and missing our family and friends who have died is welcome in the emotions of God. Our culture treats grief as an emotion slightly ignored and almost irrelevant after a certain amount of time. Grief becomes part of our bones. A certain smell can bring us back to childhood days in our grandmother’s kitchen when we gathered for Sunday dinners of fried chicken and mashed potatoes, and we remember the people no longer alive. Seeing the reds and oranges of autumn leaves as we drive through a mountain pass on our way to another church meeting brings forth in us the words, “You know, he always loved the mountains in fall as we remember a dead colleague.” A courageous chipmunk and lazy cat stir the image of a woman who would love them both. I can almost…almost... hear her laugh on this unusually warm autumn day. Grief becomes part of us when someone we love dies. We are wedded to it, mostly unwillingly, like a bride forced to marry a man she’s never met and does not love. But the transaction has happened, and here we stand, remembering those whom we love but see no longer. And on this day, we have the holy space and time to grieve. I hope you find a place to remember them today, to say their names aloud – those you love still who have died whose voice you miss or whose laugh seems to fade over the years. Maybe a church service. Maybe a visit to a place they loved. Maybe their grave. Take today and visit with grief and God. Maybe you will cry. Maybe you will laugh. Maybe you will do both. I hope the day shakes loose some grief and in that moment, you feel the connection of love across the ages that joins the living to the dead in Eternal Life. Maybe you feel anger and hate, too. Grief is complicated in its expression because humans are complicated. I hope this day reminds us grief, while often unwelcomed, is part of the intricate experience of being human. We, whether we like it or not, are wedded to the living and the dead in our love, anger, joy, and sorrow. This is part of the communion of saints. And on this one, lovely, challenging holy day, we come before God, standing with our grief, and She blesses us in our marriage to the deep intricacies of our human experience. 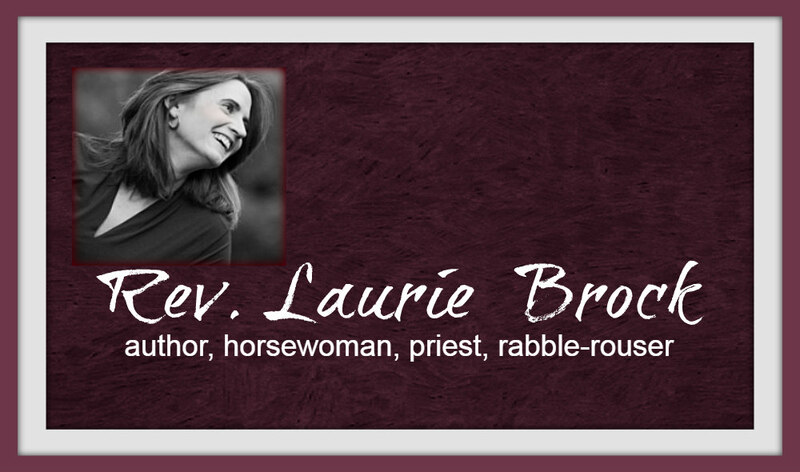 This priest of 32 years agrees with every word Laurie! A blessed All Souls' Day!